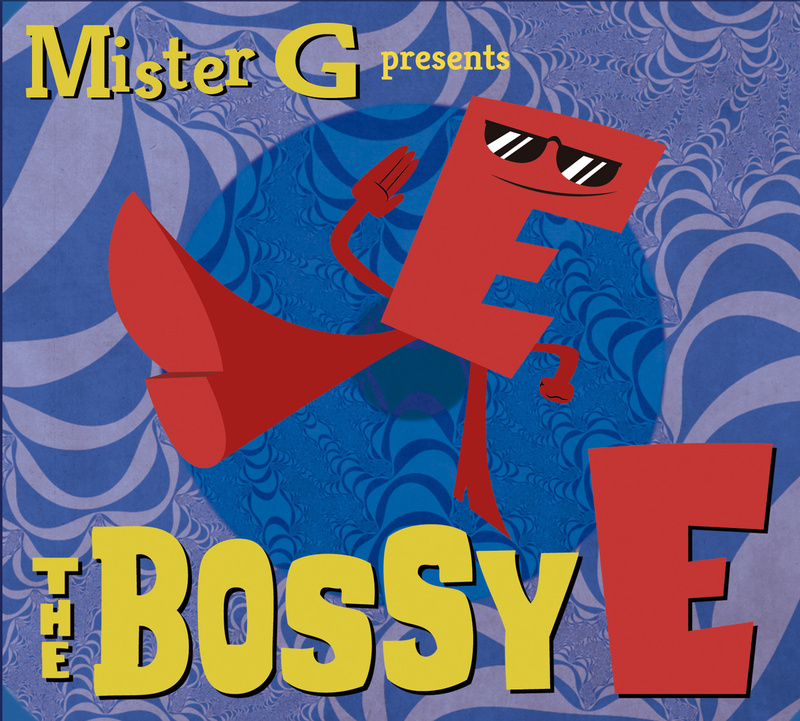 Mister G is coming out with a new album on June 24 called The Bossy E. The album is literacy themed which is great for keeping up the momentum of learning during the “off-season.” Below are two videos from The Bossy E that will definitely get you hyped up for its release. “Everything’s Free at the Library” is a funky song featuring Mister G’s smooth vocals and the talented Massamba Diop on the tama (“talking drum”). While I appreciate the song’s message, getting to watch these two play it live is fantastic. This video perfectly matches the spirit of Mister G’s music and live performances. You can’t help but be pulled in by the energy of it all. Plus, Massamba is such a master on that drum. Mesmerizing! “The Bossy E” – I never noticed just how bossy this letter can be but the animation in this video sets the record straight. It’s also an interesting coincidence that this song just so happens to be the title track of the album. I’m not pointin’ fingers, but I’d be willing to bet that that mad E made a deal Mister G couldn’t refuse. Django Jones is new to the kindie-sphere but not new in the larger world of indie music. Doris Muramatsu, JJ Jones and Nate Borofsky are former members of the band, Girlyman. While Girlyman has disbanded, these three musketeers have turned their sights toward making kids music that rocks. One of the most astounding (and outstanding) things about Django Jones is their ability to harmonize. Whether they are combining melodies or singing in counterpoint, the harmonies they deliver broaden their sound beautifully, resulting in an enormous amount of control and depth. In the interview below, Doris Muramatsu talks about how Simon and Garfunkel helped her practice singing in harmony, the process that lead to the creation of the song “Counterpoint,” and how this style of singing encourages us to support and celebrate one another. Kids Can Groove: Was your creative process different in terms of your approach to writing music for families? Doris Muramatsu: I think there was a lot more spontaneity involved in writing music for D is for Django, primarily because there wasn’t as much self-consciousness involved. That’s the beauty of kids; They don’t judge, they don’t critique. They just gravitate toward love and joy. So we knew that as long as *we* had fun, [kids] would sense that. I think for me, personally, this was a good lesson! KCG: I love the harmony that many of your songs have. It adds so much depth! Three-part harmonies seem to be at the essence of your sound. Was that something that evolved over time or something that just came naturally to you? DM: Harmony was something I always gravitated towards as a child. 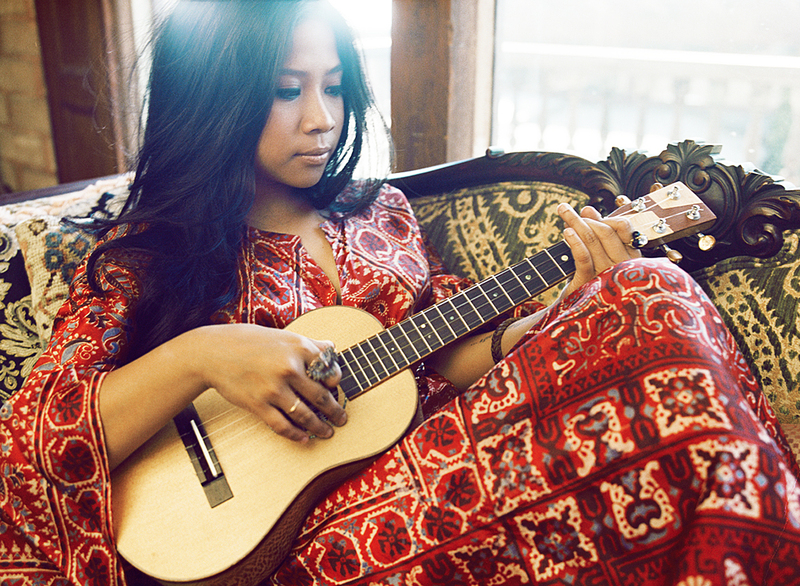 When I was 12 or 13, I started actively singing and learning it with my best friend (Ty from Girlyman). We would learn Simon and Garfunkel songs and practice singing harmony together. There’s something magical that happens when you sing in harmony. It definitely feels spiritual to me and like you’re tapping into something greater. Im so grateful to have found people I can sing with and whose voices blend so well with mine. While it takes a lot of practice, it was something I liked to do so much that it felt natural. KCG: How do you feel harmonic layers add to/contribute to a song? DM: I think harmony can be used in a myriad of ways in a song. You can have one person singing a verse and then add harmony in a chorus and BOOM! Instant buildup! I think non-traditional harmonies add aural interest and make you kind of go, “Hey, what is going on there?” There’s nothing I love more than taking harmonies apart and figuring out what each person is saying. I also think lyrically, harmony can do so much. Depending on the song, for example, say you have a line that is wistful or thought-provoking. Well, you can choose harmonies that contain notes that emphasize that longing, creating even more of a feeling than just the lyrics alone. It’s just another way of bringing a song to life. DM: I think Nate and I were wrapping up a session and started talking about how cool it would be if we could write a song demonstrating what counterpoint is in music. We were like “Yeah, so we could each sing a different part but show how those two parts fit together,” and immediately started singing lines and melodies off the top of our heads. [Nate] came up with his part and played the piano, and then I listened to the chords and made up my own melody with a different rhythm. Then we realized we could get JJ involved, too, so Nate listened to our parts together and was able to compose parts for JJ that covered your basic three-part harmony chords. The whole thing was very spontaneous and extremely inspired and fun. KCG: What do you feel kids/adults/families can learn through techniques like counterpoint? I particularly love how the lyrics seems to encourage that while we might be singing different songs we can still work together. It seems like the lyrics can also be interpreted for how we treat each other or regard each other in friendships/relationships. DM: That’s the great thing about harmony, it brings people together literally and figuratively. Yes, you can be singing two or three or even four different things, but you can each shine while singing your own part and make something bigger than the sum of each part! On a personal level, you can let each other be unique individuals and feel the beauty of your interactions and *support* that instead of putting it down and trying to get each other to conform. So much of our society is about conforming and there is so much individuality to be celebrated! KCG: Do you have suggestions for how families can find ways to sing in harmony? DM: I find the best way to sing harmony is to just do it. Get in the car, listen to a song where you can easily distinguish people’s parts, and assign those parts to your family members. At first, their only job is to stick with their part, and really concentrate on holding it steady. After several runs, then you can do it on automatic pilot, sit back and even begin to listen to the other parts going on around you! There is nothing like it. The saying goes “A dog is a man’s best friend.” However, in Django Jones’ case, a dog is a band’s best friend. Django Jones is made up of Doris Muramatsu, JJ Jones and Nate Borofsky from the former indie folk-pop band, Girylman. The Atlanta-based trio, well known for their tight harmonies, insightful songwriting and playful sense of humor, recently released their children’s music debut, D is for Django. The primary inspiration and muse for the album is Muramatsu’s dog, Django, who is also the subject of several songs on the album. By making Django the subject of many songs (he even has a voice!) provides a focus and allows the band to express their emotions more freely. Many of the songs carry positive messages filled with comfort, love and reassurance which is no doubt responsible for the album’s warmth. Whether it’s Django saying “I love you” to each member of the band (with the each member echoing the sentiment back), a lullaby called “Love You Like I Do” or the trio complementing each other after a song, there is a social emotional aspect to this music that is a nice model for young ears. 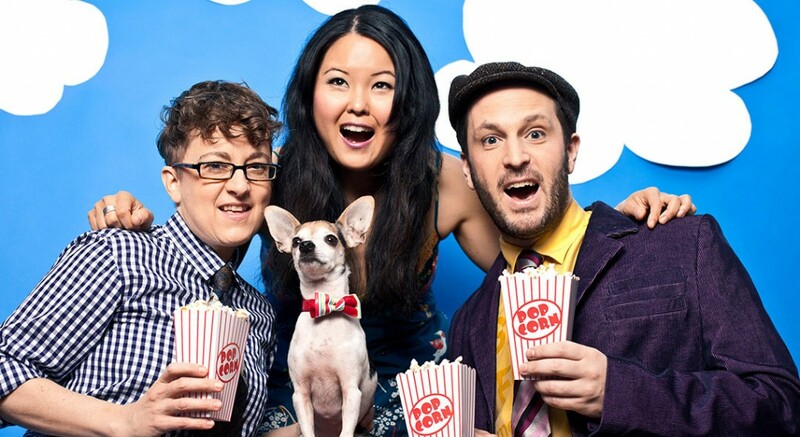 The rest of the album offers a variety of songs ranging from the action-packed fun of “P-O-P” in honor of popcorn (video below) to educational songs about the importance of breakfast, the bones in our body and germs. The trio takes things down a notch towards the end of the album with lullabies. D is for Django delivers solid three-part harmonies that fill the room with poised assurance. The vibrant collaborative energy between the band members and their furry muse holds up the solid foundation upon which the album was built. Listeners will find their hearts warmed by the group’s earnestness and humor, as well as the sentimentality behind it all. It’s easy to enjoy music when it feels like it’s being made by friends for friends. Get to know the band at their official site where you can learn about the birth of Django Jones, preview songs from the album and, most importantly, order a copy for yourself. Mother’s Day is a special day! It’s a celebration of time spent watching, playing and growing with your little ones. Maybe you are getting a special homemade card that says “I LUV U MOM” or a kiss and a super duper leg squeeze from a little person (or two) who is just about as tall as your knee. Whatever the case may be, mom’s rock! Speaking of mom rockstars, Beth Benz-Clucas of Sugar Mountain PR put together an awesome playlist featuring some of serious kindie talent. The best part? Starting today you can DOWNLOAD THE SONGS FOR FREE. But hurry because they are only downloadable for about a week. Although, the playlist will be available to stream beyond then. Music has been a major “bonding agent” for me and my daughter and to have a collection of great music to share with her is already making Mother’s Day that much sweeter! Please note that, according to Soundcloud, the download function works only on computers and laptops. Mobile devices and tablets ONLY allow for streaming of all of the songs.To Download, go to soundcloud and highlight the track you’d like, then click the download icon to the right.